Planning Your Homeschool Year Tips - Look! We're Learning! Summer break is here! And for many homeschooling parents, that means it’s time for homeschool planning! Personally, I’m a planning junkie, so I take full advantage of our relaxed approach over the summer to brainstorm about what I want to cover next year and which supplies I plan to use. 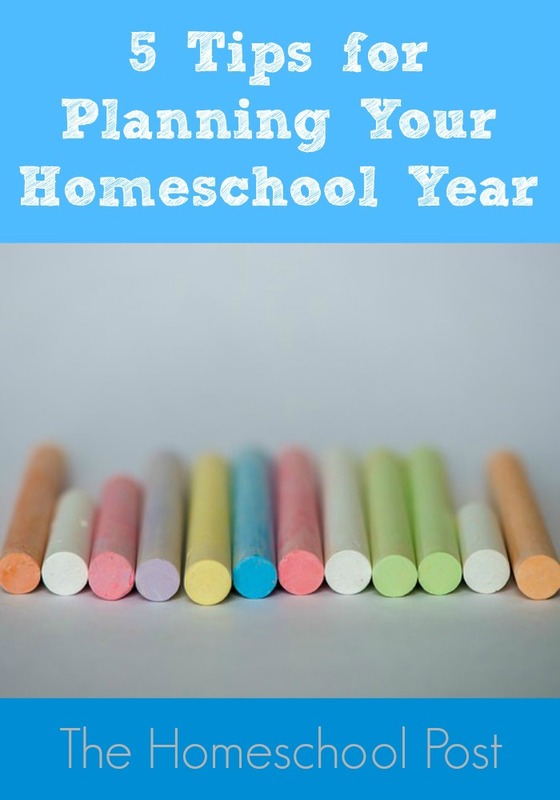 Naturally, I jumped at the chance to share a post over at The Homeschool Post that’s all about homeschool planning! Today I’m sharing 5 tips for planning your homeschool year! In the past, my tendency has been to completely immerse myself in shopping for curriculum, gathering resources, and making detailed lesson plans. After nearly seven years, though, I’ve (finally) learned a thing or two about what actually works when you’re planning a homeschool year. Keep reading for more helpful planning resources! For even more homeschool planning tips, try these books and blog posts for inspiration and ideas! Awesome tips!! And great blogs you have shared to refer about homeschooling. And its good to read your 7 years experiences and planning. Great blog! !